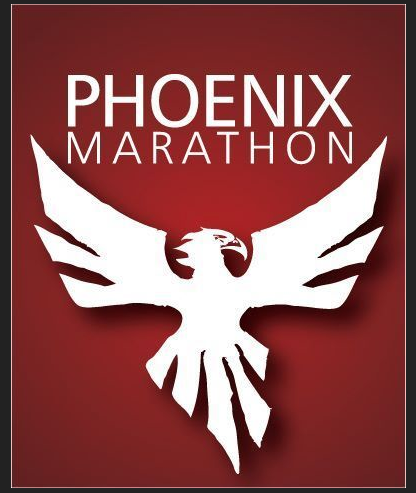 The ticker on the Phoenix Marathon site assures me there are indeed just 2 days and 14 hours until the race begins. No wonder I have butterflies in my stomach and I am busy shoving carbs in my mouth to try to quell them and carb-load at the same time. This will be my fifth full marathon and somehow it gets harder and not easier, the more I know what to expect from running 26.2 miles. I both love and fear the challenge. Once again, taper seems like a cruel experiment designed to torture athletes who generally work out their crazy by exercising. Just as you’re going cuckoo in anticipation of the marathon, you reduce the one thing that helps keep the crazies at bay. For my secondary coping mechanism I have turned to making long to-do lists and crossing items off with a thick-tipped black Sharpie. It’s very satisfying and gives me the illusion I’m in control of something, if not my emotions. Look for me post-race at the booth where you pick up a special visor for qualifying for Boston at the race (this is not bravado, it’s positive thinking). To qualify for Boston I need a 3:45 or less, however with the Boston Marathon being so popular I would like to get at least 3:42 to be sure to meet the cutoff to register for the 2016 Boston Marathon. 1. 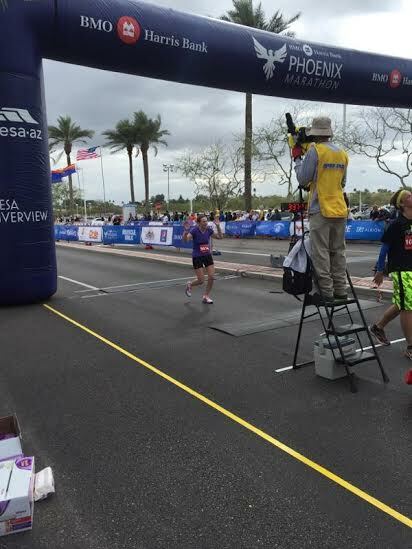 PR with a time less than 3:44:26 (previous PR set at the 2014 Santa Rosa Marathon). 3. Break 3:35. I think this is possible if all the stars align — good weather, proper fueling, proper pacing. You can track me and cheer me on to meet those goals at the following link: Race Tracker (name: Angela White). Wish me luck! 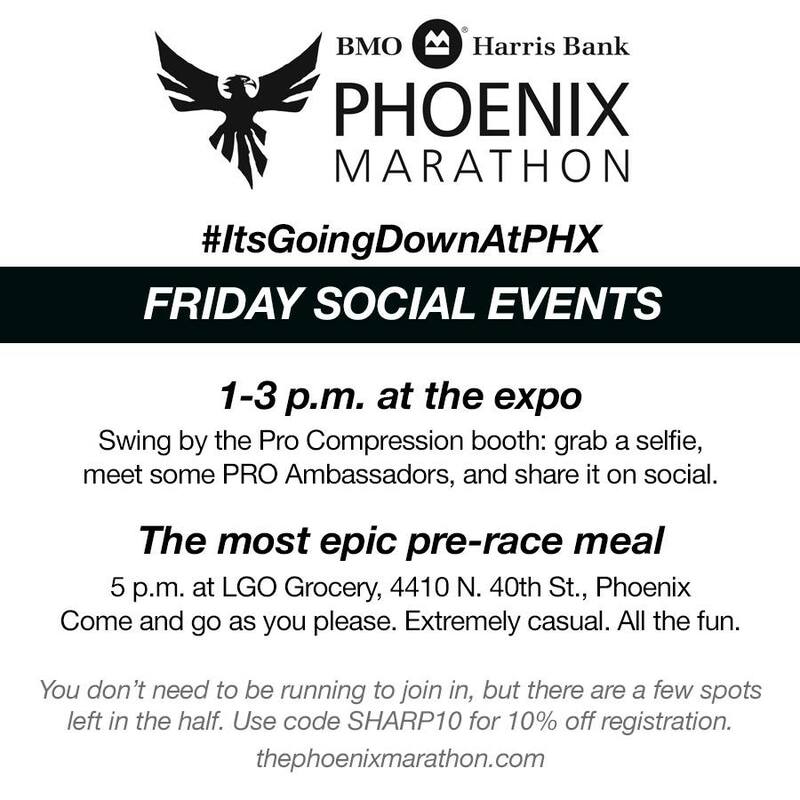 Good luck to all those running Phoenix or any other races this weekend! If you don’t know what Yasso 800s are, you can listen to the man himself (Bart Yasso) explain how doing ten 800-meter repeats with 400-meter rest intervals in between can predict a runner’s potential marathon finish time: Yasso 800s. I’d never done them before until today, when my workout called for 12x800m. After a one-mile warmup, I did 10x800m and called it good based on the time I had to do the 8.3-mile workout. I later determined that my pace averaged out to 3:34 per 800 meters. If you believe the ability of Yasso 800s to predict marathon finish time, that means I could finish the marathon in 3 hours and 34 minutes, which would be a 10-minute PR for me. That time is also what the McMillan Running Calculator predicts I could do the full marathon in based on my half marathon time at Revel Canyon City, and what the Marathon Time Converter says I could do at the Phoenix Marathon based on my 3:44:26 finish time at the Santa Rosa Marathon (which you might recall qualified me for the Boston Marathon but did not meet the cutoff to get me in to the race for 2015). So, with 10 days to go until the Phoenix Marathon on February 28, this workout was just the confidence booster I needed. Tomorrow calls for 30 miles on the bike plus 20 minutes of strength training, and Friday calls for an 8-mile tempo run. 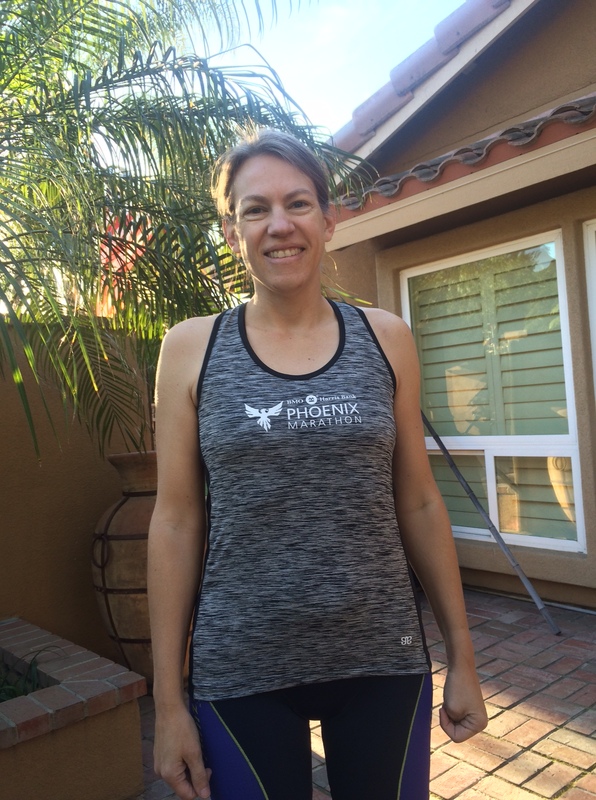 After that it’s an easy “long” run of 6 miles (one mile warm up on Sunday morning plus the Brea 8K) and then an easy week of taper until the Phoenix Marathon on Saturday, February 28. Whee! After 5+ months of training, it’s hard to believe it’s almost here!